Hans Jacob Gjersøe and his family, has been helping out in the NewUse shop in Hikkadwa this summer. 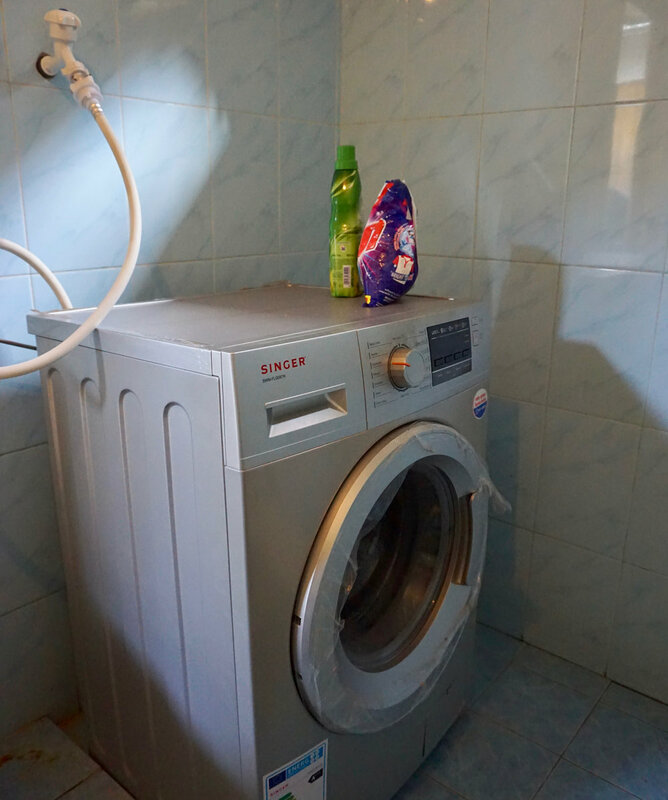 He surprised us with the news that his company and colleagues wanted to help NewUse, in donating a washing machine! Techni AS is a Norwegian R&D Consultancy firm, delivering cutting edge R&D services within mechanic, electronic and Industrial design along with production. More information on www.Techni.no. For NewUse in Hikkaduwa this is helping us a lot. The previous years we had high expenses on laundry services from others. No we can arrange everything our self and save both time and money! Money saved means of course more money that can go directly to our helping projects.